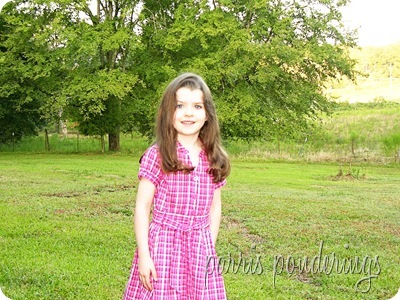 Well our first day of kindergarten is behind us…. I can hardly believe she’s old enough to be going to school. Seems like we just brought her home from the hospital and fought over who got to hold her. She was so excited a few weeks ago to pick up all her school supplies and to pick out a new outfit for the first day of school. 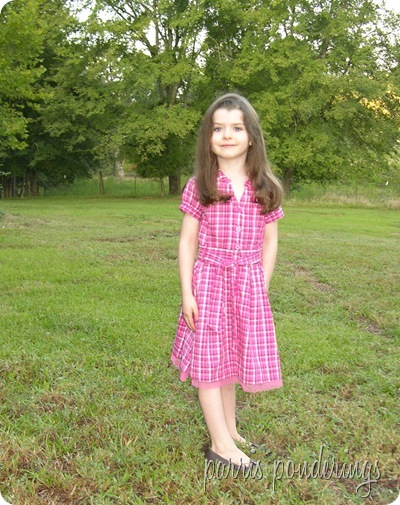 This sweet little dress has been washed and hanging in her closet….just waiting for today. She came into our bedroom this morning and said “Mommy, are you ready to do school?” My little girl had BEEN ready! After eating breakfast, getting dressed, snapping a few pictures, saying the pledge of allegiance, Daddy prayed over us before he went to work and we were ready to start. She was so excited to do each new thing. As soon as we finished one thing, she was already asking about the next. 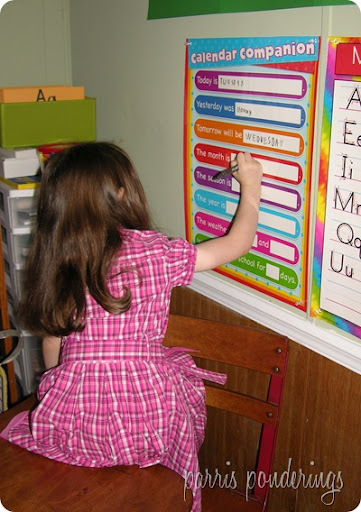 I was worried that these first few days that are light on material would not satisfy her craving for “school”. When we were done, she was surprised but then promptly ran off to play with her brother and sister. It was just long enough for her attention span! Praise the Lord! Thank you Lord for a great first day! Wondering where Ethan was while we were getting ready for school? 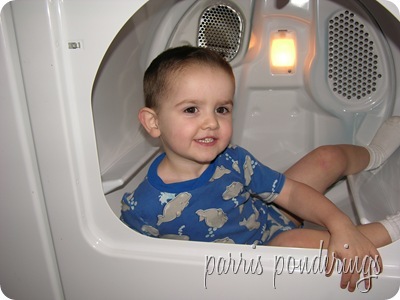 In the dryer of course!